Spring is trying to gain a hold in my Midwest garden. It has been a long and difficult winter. It began early in November and then stabilized to a rather normal December and January only to be reward us with a snowy historic cold February. Needless to say my soil temperature is still really low. Normally I can plant potatoes, peas and radish at this time. Alas, it appears as though it will be a late spring. Even though the daffodils are still trying to come up and very few woodland natives have made any attempt, the Scilla are blooming. They will fortunately continue to bloom for close to 2 weeks depending on how cool the weather stays. Each bulb throws up multiple bloom scapes. Each bloom scape has just a few blooms. A normal count is 3 or 4 flowers each. The vast number of bloom scapes will reward with a blue carpet. It has been only about 10 years that I planted my first bulbs. I should have a decent carpet in another 2 or 3 years or so. My collection started with only a single bag that had only about a dozen bulbs. Most landscape sources recommend an initial planting of at least 100. This would certainly shorten the time before a rich thick carpet will result. I have mispronounced this name for many years. I have said SKILL – UH when in fact one should pronounce this as SILL- UH. There is some belief that Scilla is familiar and loving shorthand for Pricilla. I think I would find this flattering were I the Pricilla who inspired this genus name. The species for the most common Scilla grown is siberica. This is a bit misleading. The original habitat for them is Western Russia and Eurasia and not Siberia. From this area they spread to other cool locations. These bulbs can withstand considerable cold temperatures. These are normally said to be Zones 2 through 8 though a safe range is Zones 3 through 7. Scilla can come in white and pink colors as well as a double blue. One tends to find the deep blue. This color and form tends to be the most common as well as the most durable. Scilla have a history in the new world that dates to 1796. It was brought over by immigrants from far eastern Europe or Russia. The dainty flowers do evoke soothing comfort in the early spring for those people too. The color works well with other spring blooming plants like daffodil. And, because these prefer an open woodland setting that gets not quite full sun and certainly more than full shade, they grow well in orchards. The blue works well with the white and pink colored fruit tree flowers. A really nice combination is the large pink saucer Magnolia and Scilla. Few pests bother this bulb. Deer, rabbits, chipmunks, voles and other hungry animals don’t eat them. Sometimes a bulb rot fungus will attack them. This is not generally a problem. This problem seems to happen in areas with poor drainage. Including a mycorrhizal blend containing Tricoderma should reduce any problem should you have a concern. 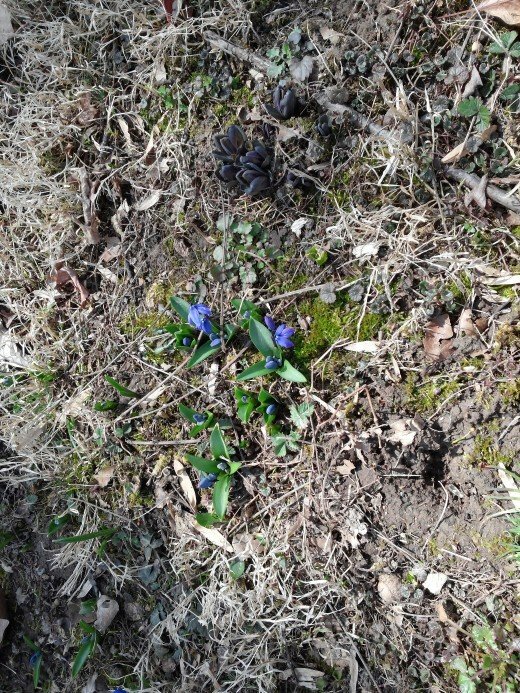 There is some concern about Scilla as an invasive non native plant. 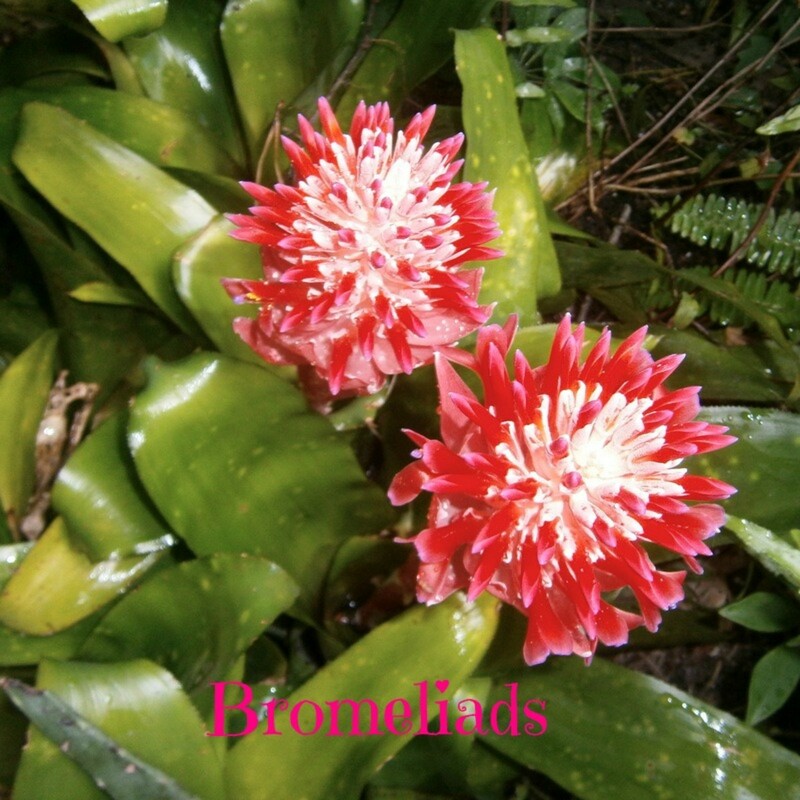 These bulbs spread rapidly through seed dispersal. You will notice spread that conforms to contour as well as locations dictated by prevailing wind patterns in your garden. They do multiply through bulb division too. It is the seed though that the wind carries and spreads far and wide. A seedling can begin blooming the second season. It is full size the third season. For this reason the Missouri Botanical Garden considers this an invasive plant. They do not recommend planting. There are plenty of other educational and landscape websites that encourage including Scilla in the garden. Most call for planting these in the border of flower beds with taller flowering spring plants behind them. These sources recommend planting because of the ease of growing as well as a contribution of color at a most welcome time of the year. Scilla need little attention or special care. Most urban plots will in the course of time be full once planted. They will grow in the grass as well. Broadcast herbicide grass fertilizers are the easiest way to control Scilla. Those like me who don’t like using manmade chemical herbicides find the blue carpet beautiful. I cut my grass rather high which allows the foliage to ripen. Allowing the foliage to ripen means I will be blessed with more color next spring. I then lower the setting on the mower once the bulbs have gone dormant for the season near the end of May. Scilla are a welcome addition to my gardens. I know they will not grow into my deep shaded woods. I don’t have to worry they will compete with native woodland plants in those areas. The carpet of blue is just now filling in after several years. I anticipate that the spread will now proceed at a faster rate. They work really well with the Bluebells that also self seeding the same area. This means I go from a deep blue carpet to a denser powder blue over about a month long period in the spring. Both of these work well with my daffodil and hosta that inhabit this area too. It is important to consider the invasive tendencies of this plant. I am a bit concerned that this will eventually escape to the woodland edge. It may compete with some native plants. If you live in open woodland rural areas you too may wish to seriously consider not planting these. 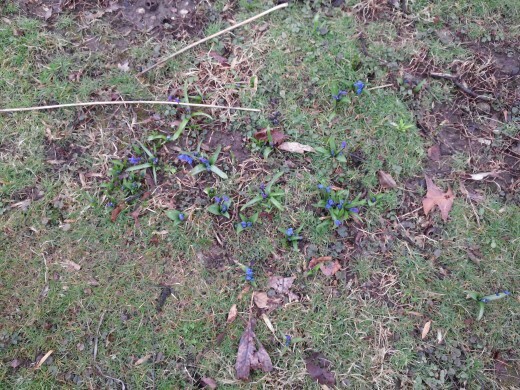 I have found that some other small bulbs like Grape Hyacinth can also spread quickly. 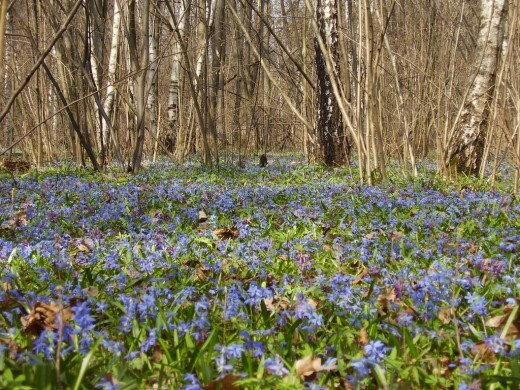 To date I have not found that Scilla have significantly disrupted small native woodland plants. Yet, this bulb has been grown for quite some time in this country with only marginal concerns. It doesn’t appear to be a problem in western states. The preferred growing area for Scilla is the Eastern two thirds of the US and Eastern Canada. If you do find you need to control this then be sure to mow with a low setting. Begin mowing just as soon as the plant stops blooming. This will slow the spread. Enjoy these as much as I do. They are foolproof. They provide color when very little else is blooming. And, now you have a reason for keeping those really small glass containers. Small bunches in these placed next to the bed or in the bathroom helps to bring the outside in. Thanks Larry. They are one of my favorite early blooming bulbs. Beautiful flowers. They really pop in early spring. 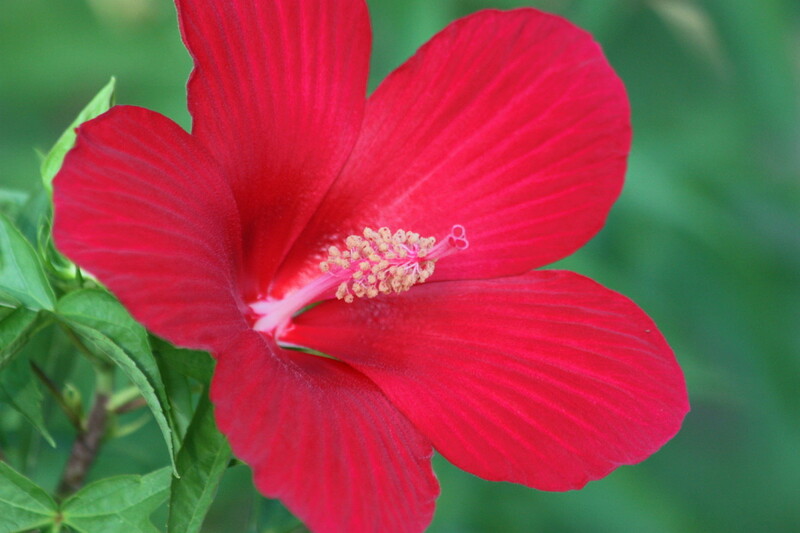 Several flowers have a local twist to them TransTerp. For example it took me quite awhile to learn that Pineys were actually Peony. Hosta plantagenia are called August Lilies. That's part of the charm of living in our part of the state. I've learned over the years to learn both the local name as well as the common name as well as the scientific name. Still, I discover new names and pronunciations all the time. I have a few of the blue ones out back in a contained area, so I hope they spread inside it. But this is what caught my attention: I know one of the alternate names for them is "squill," but I was still taken aback when an acquaintance who used to landscape for IU called them "squeal" !! Have you ever heard other Hoosiers say it like that? Did you mean Priscilla instead of Pricilla? Thought you might wanna fix that before too many read it. My mom would have really loved these beautiful blue beauties. Good luck. I had thought you were too warm for jonquils. 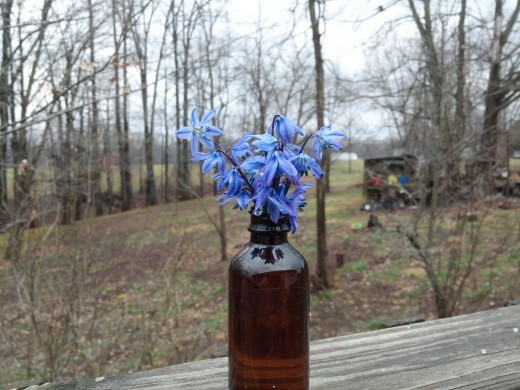 Maybe you can grow Scilla. Daffodils are delightful flowers hostaguy. I hope they bloom. I have never grown them, but have grown jonquils successfully. Thanks RTalloni! It's too late to plant for this spring but keep an eye out for bulbs this fall. A true blue flower is not easy to find. Thanks for highlighting the pretty little scilla for us. Thanks Jodah. Yes, your right Queensland will be too warm. I bet some of New Zealand will make good locations because they are such a mecca for daffodil. Scilla grow well where daffodils thrive. Of course, these places may wish to check with local restrictions in the event this bulb is considered invasive. Hi Hostaguy, Scilla are a very beautiful plant (as are most with blue flowers as the colour is rather rare). Unfortunately our climate would not be cold enough to grow them successfully. Possibly Southern Australia and Tasmania may be suitable..but not tropical Queensland. Interesting hub though. Voted up. I think they will grow in Northern Florida. I fear it may not get cold enough below the Pan Handle part of the state. They are small. I think if you kept them in a pot in the refrigerator/freezer for a couple of months and then took them out in December that you could be rewarded with a nice pot of tiny blue flowers. They would only have to be in the cold during the time before blooming. Don't forget that just because they are dormant you will periodically need to give them some water (not often). Let me know if you try this and how it works.